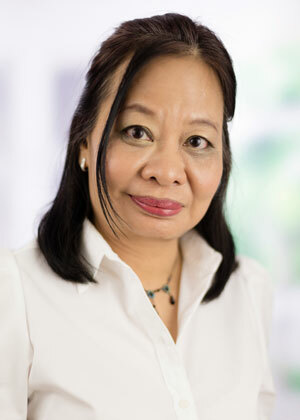 Joyce Goh specializes in writing reports for Office Actions related to trade mark prosecution work, issued by the Intellectual Property Corporation of Malaysia (MyIPO). She communicates with clients and files timely responses, drafts arguments and Statutory Declarations of Evidence of Use in response to Objection Letters. She also conducts trade mark availability searches and provides reports with legal opinion. Joyce manages trade mark enquiries, from pre-filing right through to registration including post-registration. Since joining Henry Goh in 1998, her experience, knowledge and expertise in prosecution and formalities work are invaluable in providing advice to both local and foreign clients. Joyce also provides training and supervises the work of new executives and administrative assistants. She is responsible for monitoring the deadlines of the Trade Mark Department via the firm’s case management system. Joyce is an accomplished musician. She holds a Licentiate from the Trinity College of Music, London (LTCL) and the Royal Schools of Music, London (LRSM). She often performs at company events.